Why You Need This: D'oh! Your bike fell over and the shift lever got all bent up... yep, these things happen. 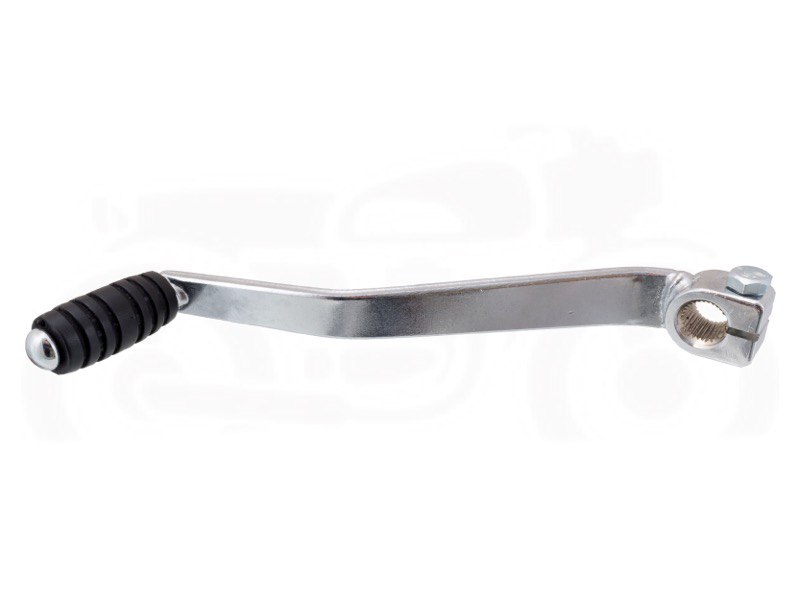 The good news is that we have a replacement lever to make things better on your CB350 or CB450. This is a solid replacement for the factory shift lever that is all banged up. We hope your brake and clutch levers didn't take a beating too, but we have you covered there as well if they did. 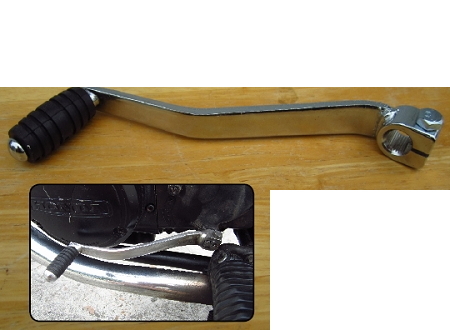 The shift lever includes the correct mounting bolt whether you're riding a CB350 or a CB450. Installation Tip: Use a little anti-seize on the splines of the shaft to make it easier to take it off when servicing the chain. Bought this creamy piece for my 1974 CB450. I accidentally dropped it and put a hole in the stator cover by bending the shift lever. This little guy works as expected. A little more modern looking, which is nice. Pretty shiny. I would give it six stars if I could. Came quickly, was the perfect fit, and is still working great. Great site to find classic parts! I received an excellent recommendation to buy the shift lever as my multi linkage shift lever was not working correctly and the adjustment seemed to allude me. Definately the correct replacement. Not fitted yet as other work to be done first. Thankyou for the good service. Cheers.